TOKYO (Reuters) - Toyota Motor Corp <7203.T> said on Tuesday the fourth-generation Prius hybrid model would have listed mileage of 40 km per liter (94 mpg) in Japan, improving fuel economy by more than a fifth from the current version's 32.6 km/l. 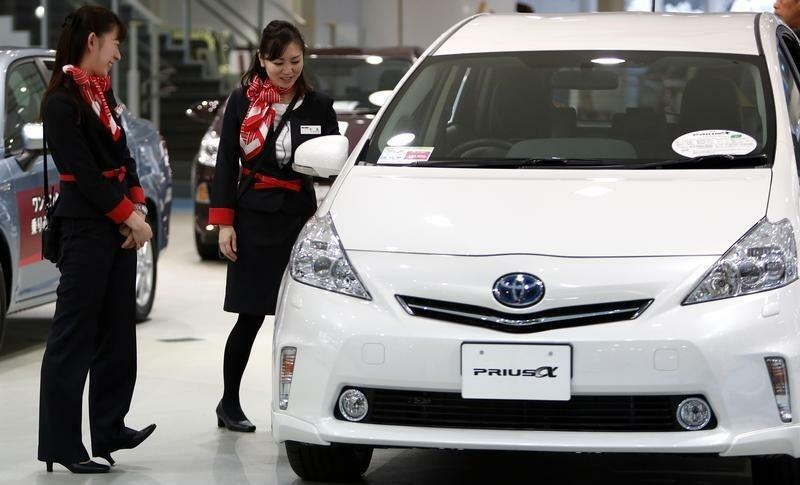 Japan's top automaker, which pioneered the fuel-efficient gasoline-hybrid engine technology with the first-generation Prius in 1997, said mileage would vary depending on the car's specification. Toyota has said it would begin selling the new Prius from year-end, starting in Japan.